Where am I in this pic? City? State? Place name? Country? No. Right continent, wrong country. Looks like a palace, but I’m not familiar with it. The landscaping looks European, but the architecture and vegetation rule out Southern Europe, although I could be wrong. My wild guess is: Sweden? That looks like France to me. You know- that may even be the back of Versaille near Marie Anoinette’s little paddling lake. A very good guess – and a very similar place – but no. Thanks for the link, Lola! Skyduster was the first to guess the correct country – Sweden. Cabeza (what a name!) was the first to guess the city – Stockholm. 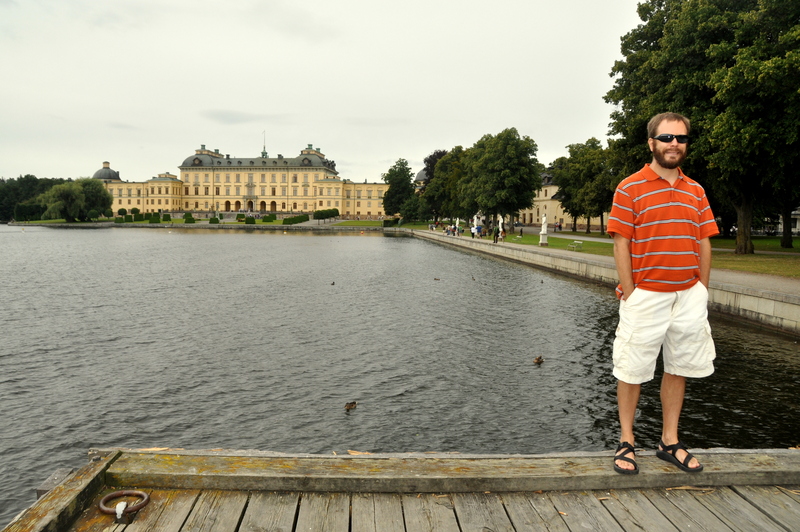 Steve, aka “The Herr” (another cool name) was the first to guess the place name – Drottningholm Palace. Lola (Swedish by proxy) also gets credit for clarifying that Drottningholm Palace is in the Stockholm archipelago, on one of over 20,000 islands if you can believe it. Drottningholm is home to Sweden’s Royal Family, and the palace grounds are very Versailles-esque.